The crowd loved it. It incessantly took pictures and videos because of the great performances by various artists. Live concerts are pretty much the best things ever because you get to hear a band you love give their best performance because they want to make you happy and this is exactly what most people got from the 2016 All Tonga Music Festival. This year’s music Concert was characterised by epic traditional performances that took root deep in people’s souls, as multitudes of people watched with excitement and amusement. It was competitive compared to last year’s which was a showcase. The festival brought to the fore the rich traditional culture of the Tonga speaking people through dance and music. Due to migration, whether local or international, we are live to the fact that culture has been influenced by many people that join a particular group, leading to cultural diversity. 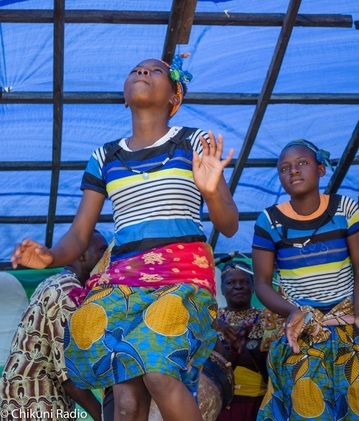 This is the reason why Chikuni Community Radio Station, working in close collaboration with the local cultural institute “Mukanzubo Kalinda,” took it upon them to ensure that this great culture is not lost but preserved for younger generations. The Tonga speaking people believe that each and every person must have a cultural background, otherwise this person will be deemed lost. 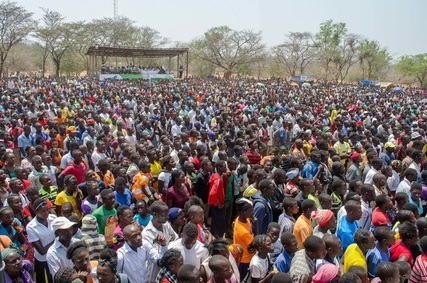 This year’s Concert was held for two days, under the theme: “Cikoye vwuna liso kukkala mwi mbunyina,” translated in English as “Unity in Diversity. In any community, people have different social, cultural and political views but there is need for people to co-exist, hence the theme. The music you hear, if listened to very well, will tell you that it is not just about the love of music that makes people from this culture sing, but it shows you their way of life. Music in the land of the Tonga speaking people is seen as a great custodian of culture. You hear about what is accepted and what is not. The festival showcased 20 music categories, though some were not purely traditional. They are borrowed genres which have been fused into the Tonga culture. 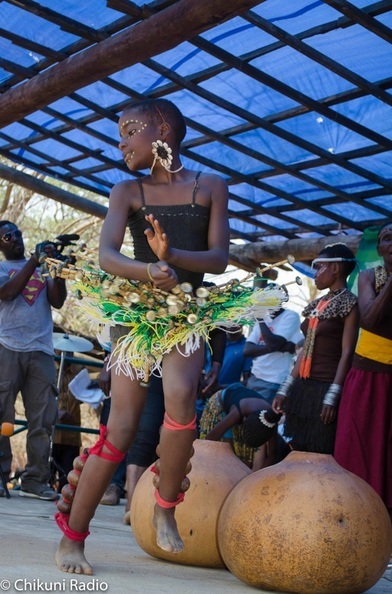 The categories are cilimba, masabe, kuyabila, chikaambe kaambe, seesa, kalindula, kutwa, maguitor, chigome, kalyaba, twist, kalumbu, bukonkoolo, matyantya, ndikiti, lemba, kweema, chiyayaale and ngoma. What does the Concert mean to the local people? Many people flock to the arena on the day of the Concert because the area does not have much activity for the local people. The Concert is seen as a recreational facility, mainly for the people who live in Chikuni. How has the Concert helped the musicians? Lasesa Milimo Masanga leads Lasesa Cultural Group formed in 1994. He started his singing career when he was still in Primary school, learning from others. Having gained the necessary experience, he was now bold enough to participate at the first ever music Concert organised by Chikuni Community Radio Station in 2000. Since 2000 to 2003, he performed the Sesa dance and since 2003 to date, he performs the Chikambe-kambe dance. Since inception, Lasesa Milimo either scooped the first or second prize and because of this, he has developed both in his career and at personal level. “People now call me to perform at various functions. We only used to sing in the village for pleasure but the coming of the music festival has taught us that we can do more than that. We had no source of income but now that is a thing of the past because we are able to make our own money and provide for our families,” he said. Not only does he perform in Lasesa Cultural Group, he is also the initiator of Ngoma Ya Mwami Ufwenuka. He is also a composer, dramatist and lead singer. “Playing the drum is a God given gift. When I feel low, I find solace in playing the drum,” he added. 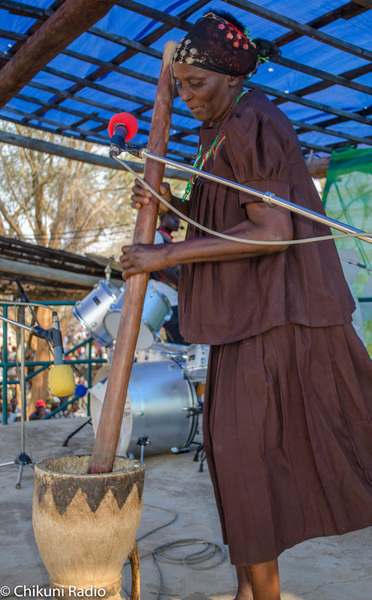 Anna Mutinta Choolwe, Bina Lilly as is her stage name, first took part in the Concert in the year 2000, in the Kutwa (pounding) category. Kutwa was something that was heavily practiced in the olden days by women mostly, as it was the only way families would get food. Women would pound maize, groundnuts, sorghum and many other things in order to have food. “Nowadays, people do not do that, they use modern equipment to do this kind of work. My reason for participating at the Concert is to make sure that the young generation, especially young girls, know how to do things the traditional way because certain modern equipment may not bess reliable. “Life in the village is not as easy as some people may think. If you have no formal work, all you do is farm. Kutwa is a way of life for us. I have been pounding at the Concert because I have discovered that it is not just a showcase but one of my many talents. Since I started participating at the Concert, my life has not been the same. I have built a house and have been able to do other businesses such as farming and rearing goats. “Since the Concert started, I have been challenged to sing songs that reach out to all age groups. I have condemned and encouraged certain habits,” says Savity Tumbachanji, the maguitor category first prize winner. Savity Tumbachaanji is well known for his Taonga song. In this song, he has encouraged parents and/or guardians to let their children go to the Interactive Radio Instruction Schools (IRI). When these schools started, most people shunned taking their children there as it was considered to be not a good place for a child to learn. They wondered how pupils could learn through the radio. Now many people take their children to these Radio Instruction Schools, also known as Taonga because of the good things they heard about them in Savity’s song. Before the introduction of these schools, many learners would drop out of school because of the long distances they had to cover every day, now many people in Monze district have appealed for the construction of these schools. After so many years of taking part at the Concert, Savity decided to expand his knowledge about music. He enrolled at Evelyn Hone College to pursue a music teacher’s diploma and because of his music background; he had the privilege to perform with big artists such as the Sakala brothers and Angela Nyirenda. He also played in three bands at College. “Exams were a walk over for me because I knew most of the things already. The workshops we attend prior to any Concert organised by Radio Chikuni equip us with the necessary skills needed in the music industry. “Am now well know at inter-regional festivals and in 2006, I won the outstanding traditional singer award at the prestigious Ngoma Awards, designed to recognise artistes in creative writing, visual arts, theatre and media arts. 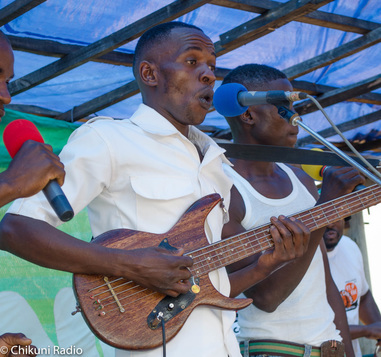 The Concerts costs more than K100, 000 to host annually and Radio Chikuni would like to invite the corporate world to partner with us to preserve the local culture through song and dance. We currently need thousands of kwacha to put structures at the concert arena to improve the reveler’s experience. Our artists need training to hone their skills and improve their art so that they can be invited to perform at other events and their music careers must not start and end with the Concert. In the age of piracy, releasing an album no longer puts money in the pockets of our local bands but performances can.